The purpose of this book is to investigate the nature of the soteriology, the quest for liberation, of Advaita Vedanta. The enquiry restricts itself to a concrete example of this tradition to illustrate the problem. There are two major areas explored in this study. The first involves the inter-relation and inter-dependence of philosophy and religion. Gaudapada and his text are used to illustrate the synthesis of these two aspects within Advaita Vedanta. They are found to be inter-twined and mutually influence each other. 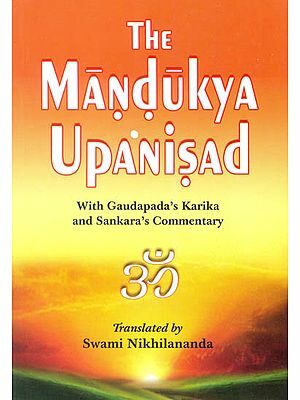 Secondly, the religio-spiritual dimensions of Gaudapada's Mandukya Karika in both its theoretical and practical levels are given prominence. Gaudapada is presented herein more as a religious preceptor than as a systematic philosopher. The Mandukya Karka is also examined as a teaching text from this perspective. Gaudapada's use of scripture and reasoning is explored to understand the synthesis of philosophy and religion inherent in the teachings. His use of various teaching devices is found to support the view that Gaudapada's teachings are essentially religious or spiritual. Gaudapada first presents a theoretical understanding of man's spiritual situation and the goal of liberation. Then he describes the actual practices prescribed to achieve this goal experientially and indicates the results which are said to accrue from them. Colin A. Cole is a student and practitioner of the higher practices of metaphysics and spirituality. His academic studies involved him in world religions and graduate-level specialization in Hindu and Buddhist studies, with particular attention to the traditions of Advaita Vedanta. He taught for 15 years in college and universities in western Canada. He also trained and worked in the mental health field, full time for eight years and part-time for another eight years. From 1985 to 2000 he taught in an institute he founded and developed which was devoted to personal and spiritual growth and healing. He is now retired. This book is dedicated and offered to those individuals who intellectually and spiritually seek to understand and to penetrate the wisdom of the ancient Indian masters and seers. Just as there is once again within some sectors of the Indian population there is a growing interest in the western hemisphere in the yogic and esoteric disciplines of transformation enlightenments or self realization. Although this book was penned as a masters thesis for the University of British Columbia in Vancouver B.C. Canada the purpose of its writing was more than a scholastic endeavor. The present writer is interested in both the theoretical and the practical side of Indian spirituality. As the title indicates the purpose of the present study is to explore the religion spiritual dimension of this subject. My effort and desire was thus to academic and scholarly in detail and approach while maintaining the radabilty of the work and its usefulness as a tool to further explore this great text the Mandukya as a tool to further explore this great text the Mandukya Karika of Gaudapada by the educated and the interested lay person. It is designed for reading as it stands especially chapters 5 and 6 or for use with the actual text in reference to the footnotes. For the individual who wishes to study the text in depth reading this look in other words to work integrating both sources as the text is very deep and profound and understanding emerges through interaction over time with this sort of material. The text itself teaches a very lofty form of Non Dualism in the tradition of Advaita Vedanta and as such as unapproachable by many interested individuals. Even those familiar with Vedanta and the erudite truths of Advaita are over whelmed by this particular text. For these reasons it is held in such high regard and thus the study and absorption of the material is of some difficulty. This is another reason for my attempt at writing a logical and lucid account. Most of the sources are terse and without commentary those with commentary and notes are not a step-by-step integrated account of the important religious and spiritual teachings of this marvelous text. The strictly academic themes deal with dates style, linguistic problems origin of ideas philosophy and so forth but seldom outline the use of the text within the living tradition of spiritual knowledge which still continues in India today and wherein this Karika has an esteemed position of pre-eminence. I would like to acknowledge the living tradition of transmission from preceptor to disciple within Advaita Vedanta the aid of many book by religious people and scholars the verbal account of personal contacts with knowledgeable individuals here in India and the invaluable guidance and criticism of my Prof. at the University.